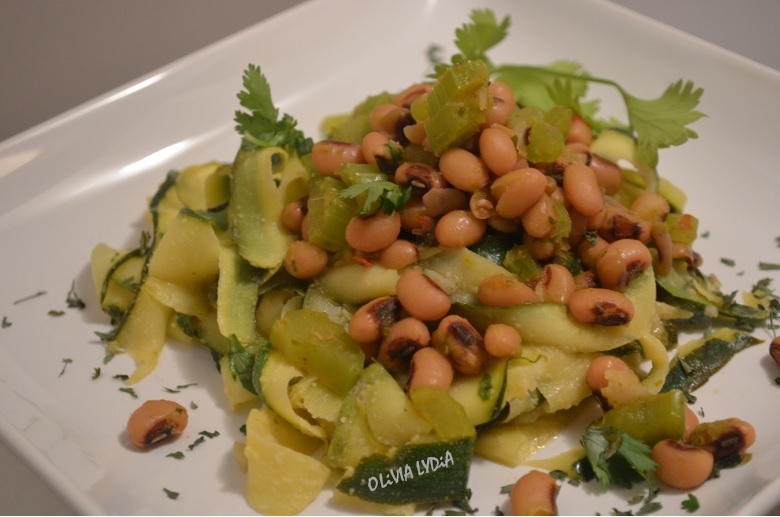 Black-Eyed Zoodles – Olive For Greens. 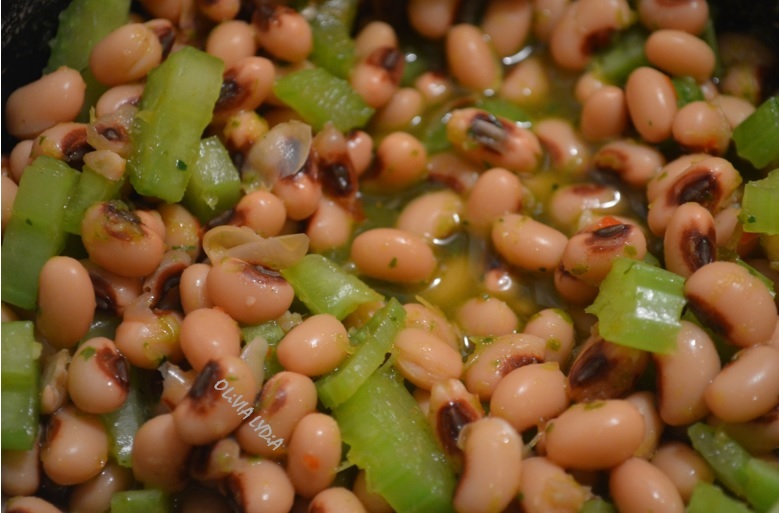 I think black-eyed peas are underrated. They are good and some people think they don’t like them. But as I always say, don’t knock it before you try it. If it’s been 5 years since you tried something you didn’t like, give it another try! Your taste buds may have changed. Zoodles, also known as zucchini noodles, are the latest food . 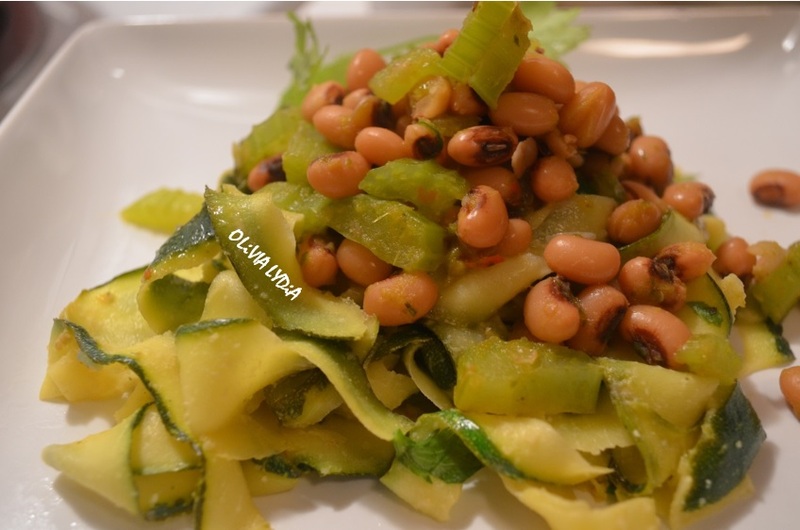 It’s perfect for a low-carb diet or anyone willing to try something different. There are many gadgets out there to make zoodles but don’t fret because you only need a potato peeler. This can be a 30 minute meal so it’s perfect for a weeknight dinner idea. Pair with a big ol’ salad or eat as a side. Enjoy! TIP: If you don’t have Sofrito, sauté onions, garlic and bell pepper- a small piece of each. In a small pot add the oil and Sofrito on medium heat. Sauté for about 2 minutes. Now add the celery and sauté for 1 minute. Now add the broth and beans. Lower heat and cover for 15-20 minutes. Now make the zoodles. TIP: If you don’t have nutritional yeast, use vegan or vegetarian parmesan cheese. In a large pan coat the bottom with oil. Add the garlic and sauce until golden. 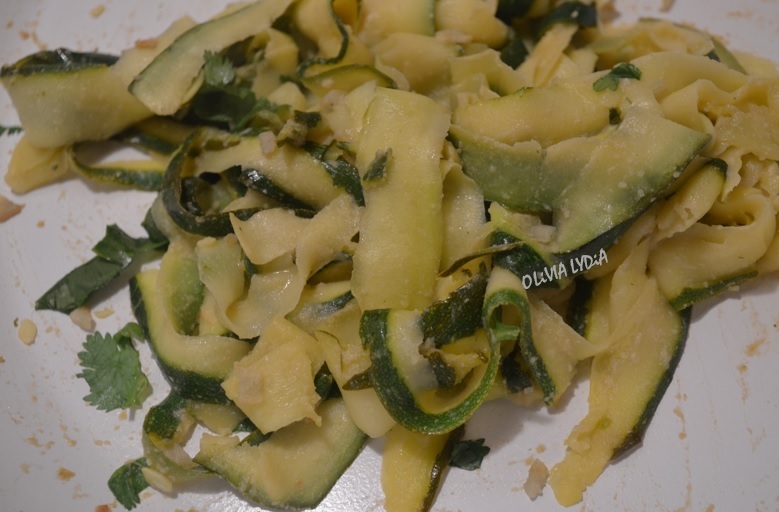 On low heat add the zucchini ribbons, lemon juice, salt and pepper. Sprinkle with nutritional yeast, turn off heat.